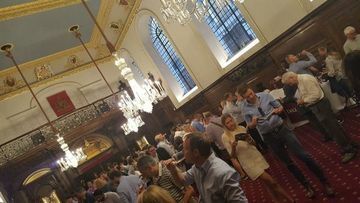 Wine Fairs are difficult to gather the group around, so I thought I’d share my notes with you. 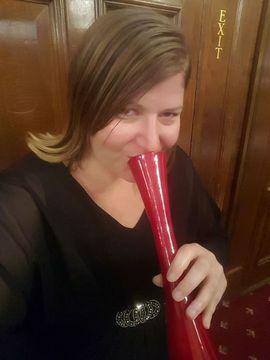 Yes, I am a wine geek, and whenever I go to an event such as this I always research and create a ‘presentation’. But more importantly, whenever I host an event, it’s all about giving you the best experience. It’s pronounced pay-sac-lay-oh-nyahn… and I challenge you all to say that 3 times fast at the end of the Decanter tasting tomorrow night. PL is an appellation in the sub region of Graves. It is not actually in Bordeaux, it’s located 25 miles outside the city centre of Bordeaux. But the wines are so far superior than any other in the appellation that an exception has been made. For example, Château Haut-Brion, is the only First Growth property outside the Médoc. This regions ego is rightfully-so bloated, it actually fought and won its independence from the Graves region 1987… that’s boring and legal, and I know why you’re really reading… you want to know the best tables to go to at the tasting. What is everyone raving about? What makes this wine taste so different than the rest? When you think of Graves, think Gravel. Hey, maybe that’s where it got its name? In fact it is. See not everything I say is a bunt hit to the pitcher. PL wines are extra – earthy and some say the most soil-driven of all the wines in Bordeaux. But that’s not all. This region has the hottest micro-climate of Bordeaux, meaning that the wines will be richer and fuller in body; much more like those of its southern neighbours and new world brothers. Here’s a Tastour Tip: Pessac and Léognan are two different villages 6 miles (10Km) apart, with Léognan being the most southern region . So, if you’re looking to strike up a conversation with that gorgeous blonde, that one will surly win him or her over. Here’s another interesting fact: During the English Reign of France, they exported barrels of wine from Graves to England. Making Grave the first French wines exported. This is slightly ironic, as the main export today is timber. Unlike many of the other regions in Bordeaux this area is densely populated with forest. Drum roll, please… I have one more. I have heard that Haut Brion is credited for being the first Bordeaux wine to receive a professional review on April 10th 1663. What do you think Samuel Pepys would say about Robert Parker? hummm. Kelly, There are 16 Grand Cru Classés, which ones are going to be at the Decanter Fine Wine Tasting? It would be mind blowing if all 16 were there – for £25. However, there is a fantastic selection and all 23 producers offer fantastic wines. What are the best vintages? Well with a the exception of Haut-Brion, and Mission Haut-Brion, the region wasn’t on the wine investment map. Things really changed from 2005, so if you are looking for some bargain investments, start with this vintage. I’d love to hear what the producers are saying so do ask, and post it in the comments. Looking forward to seeing you all there! Hope these notes help. This entry was posted in News & Trivia, Wine on 14 April, 2014 by adminfw. It’s the New Year… time for us all to learn something new & do something different. I’m a firm believer that you can wish people Happy New Year up until the Chinese New Year, (which is the 31th Jan 2014 -see you’ve learnt something already). So come along and learn about wine! As usual… At this tasting you’ll learn the difference between three classic wines, and a few tips on how to tell them apart, plus you’ll learn a few interesting facts to share at your next dinner party. Please note: We do not include the name of the wines as it’s more about opening your mind and encouraging conversation with the people that come. The new miniTASTINGS format is a huge success. More quality wine… more food and wine pairing… more laughter and more great people to meet. Each month is a new learning theme… So, if you’re confusing your Pinot Grigio with your Pinot Gris? Get a quick fix and learn a thing or two about wine with Tastour. 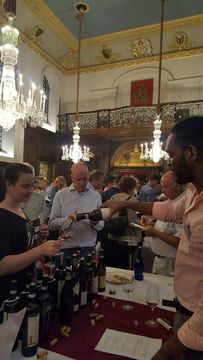 Around 50 wine lovers gather at this event – it’s more informal than a guided Tastour tasting and it’s just as much fun. If you’re coming alone for the first time, don’t worry – I’ll be there with a big welcoming smile and make sure are introduced to a fun group of people. You’ll enjoy a 1 hour guided side-by-side tasting comparison of 3 expensive/unsual wines and some food pairings. Each month is a different learning theme, giving you tips and tricks to help you learn what you like and why you like it so that you can shop smarter and save money. Last Tuesday, I spent the evening meeting and talking to grapes…am I crazy? Was I trolleyed?! Well, definitely not nuts, nor were the 50 others who were there. Although it was a social drinks night, there was also a mini-wine tasting – rather aptly named a Tastour Tease! So not just a great night with some fun people, but I learned something as well! At the start of the evening, in small groups, you were guided through 3 different wines. We learnt a few tricks of trade about aromas and tips on how to find a wine that I liked. The guide said that we’ll be tackling a different subject every month. But it’s whet my appetite – they’re running a Champagne tasting on 24th April and I’m going to sign up tonight. The tasting was only hour, so there was plenty of time to get mingling, and test out my new-found smelling skills! All in all, a grape night!! This entry was posted in Events, Wine on 6 January, 2014 by adminfw. Have you ever tasted Love, when you taste wine? A glass of Tour de Belfort is a taste of love. But like any true Love, the more time you spend getting to know each other, the more in Love you fall. And fall hard, I did. Organic wine is table art… it’s a centre piece of conversation and admired for its inner beauty. harvest 350,000 bunches of grapes, and meticulously sort (discard the bad ones) 21,000,000 grapes. Their organic methods protect the very nature of the grape all the way from the flowers pollinated by their bees to the contents of the bottle. It’s an award-winning wine, receiving high marks from judges and barbecuers alike. On average, most vineyards prune the vine to around 40 bunches of grapes, leaving the resulting juice bulkier and with less concentrated flavours. However, at Tour de Belfort, each vine is left with only four to six bunches to ripen and harvest. This young vineyard is planted with a high density of vines, but they are anything but greedy. They cut and discard around 150,000 bunches of green grapes, red grapes before they ripen, from the vines to keep the harvest yields low and the wine tasty. – it’s surprising that the wine is under £10 per bottle! Where is it? and why is it special? The winery’s vineyard, Domaine de Belfort, located in the South West of France’s Causses du Quercy, is part of the Natura 2000 European (EEC) protected territory. This program focuses on protecting biodiversity, habitats, and species dependent on these lands. The vineyard began with the Ecocert certification program in 2009, which will give them organic certification after three years of inspections. What is the EEC inspecting? Herbicides or pesticides used on the vines? NO way! This is quite a feat, if you consider how many things like to eat grapes besides people. What else makes it Natural Wine? They don’t add any ingredients to preserve aroma, correct flavours, or alter the wine experience – no bones about it, natural wine is the naked grape. With so many natural imperfections, great care goes into making sure every grape they use must be absolutely perfect. We had the pleasure of tasting their organic red at several of our tastings. 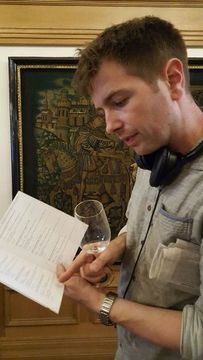 There was mixed opinions about the wine – which is normal with natural wine. 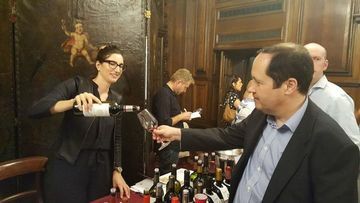 In my opinion, those with more sophisticated palates were big fans of the clean, yet earthy tasting red made from a blend of Malbec, Cabernet Franc, Merlot, and Syrah. The varietal mix in the red we tried results in a complex wine with real length on the palate and high emphasis on fruit with soft accompanying tannins. As a tribute to this wine’s gentle character, Tour de Belfort actually recommends their red with white meat in addition to more typical grilled accompaniments, and I whole heartily agree. I love the modern purple and gold label. It bears a picture of the Chateau as well as the +nature© seal stating that the grapes used are organic and that there will be no pesticide or other residues included with their wine. 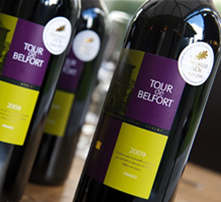 Tour de Belfort delivers to the UK, directly from the Vineyard, free of charge… be warned, you may fall in love too. This entry was posted in Reviews, Wine, Wine - Organic/Natural and tagged +nature©, Natural wine, Tour de Belfort on 18 February, 2012 by adminfw. Who says learning can’t be fun? Our floating classroom will explore wine and make fascinating new London discoveries along the way. It’s New World Camden vs Old World Little Venice – who will sink and who will swim? This is one boat ride you don’t want to miss. The Grand Canal is an extensive network stretching over 130 miles. 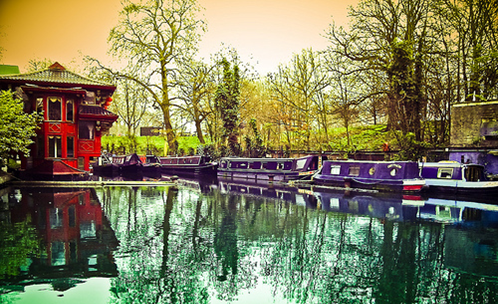 The section between Little Venice and Camden is one of the most scenic and historic. The floating Classroom is a charitable vessel. There is an outside viewing deck and inside seating for your comfort. Welcome drinks and canapes from 6:00-6:30. The floating classroom will depart at 6:30 and return at 9:30. Optional drinks at a nearby venue will be arranged for after the event. Take Bishops Bridge Road towards the canal. Turn left, walk for 3 minutes towards Little Venice on the canel. Online Booking is required: For all Tastour award-winning events, pre-booking early is advised due to high demand. Bon Vivant Members save £8! This entry was posted in Events, Wine and tagged Camden, Little Venice on 16 February, 2012 by adminfw. Bon Vivant members are invited to join us for this lavish affair in the secluded, beautiful gardens of one of London’s most exclusive Tennis Clubs, Holland Park Lawn Tennis. Not only is this an opportunity to socialize outdoors whilst enjoying watching some tennis, but this is also a fine wine tasting, so be prepared to experience some amazing, top-of-the-range wines, some of which would cost up to £40 per GLASS in a restaurant! We’ll also be matching the fine wine with various types of Artisan Cheese. These specially aged and ripened cheeses are handmade by skilled cheese makers to produce deliciously complex flavors and a variety of world renowned cheeses. It’s a match definitely not to be missed! Location: It’s only a 7 minute walk from the tube; however, please bring your map, as its exclusive location may be a little tricky to find. It is NOT located inside of Holland Park. For all Tastour award-winning events, pre-booking early is advised due to high demand. 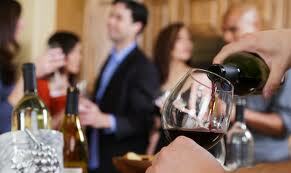 Guided Fine Wine tasting with wines retailing at up to £60 per bottle. 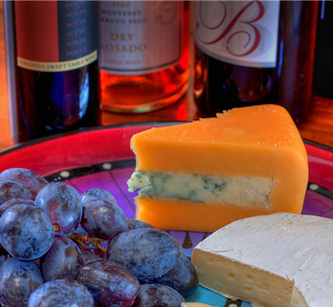 Tastings of delicious and complex Artisan Cheeses, the perfect pairing for fine wine! An invitation to enjoy the beautiful and exclusive Holland Park Lawn Tennis Club. The opportunity to enjoy a fine day outdoors, rubbing shoulders with other interesting, like-minded people. This exclusive event is available to Bon Vivant members only. 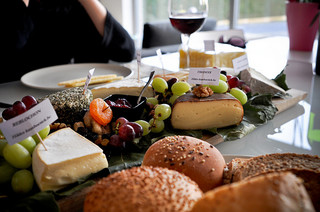 This entry was posted in Events, Wine and tagged Artisan Cheese, Bon Vivant on 14 February, 2012 by adminfw. 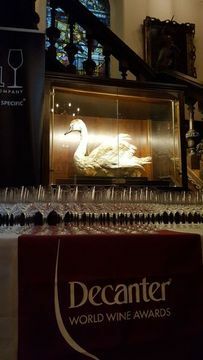 This entry was posted in Events, Wine and tagged Bon Vivant on 14 February, 2012 by adminfw.